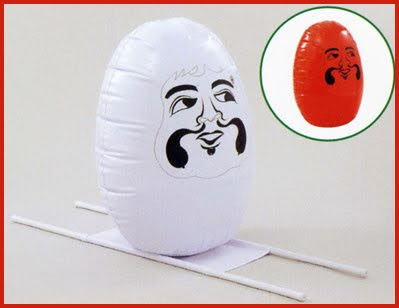 It is made from inflatable plastic and used at schools for children to practise keeping balance while two students carrying him. 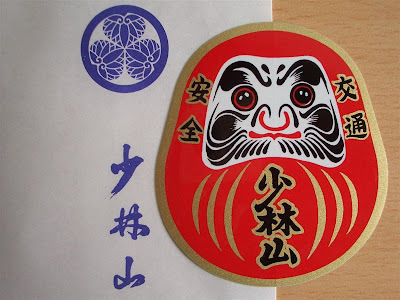 In this story we will talk about the Japanese samurai sword first and then look at some special decorations featuring Daruma san. The first Japanese sword may have come from the gods, as we saw in Part 1, but a more realistic version has it come from Mainland China and Korea to Japan. Swords from the Heian period to the Muromachi period are called "Old Swords" (kotoo, koto 古刀), from the first year of Keichoo (1596) we talk about the "New Sword" (shintoo, shinto 新刀) and during the later half of the Edo period the "New New Sword" (shinshintoo 新新刀) came to be known. The older great sword (tachi 太刀) had been hung from the belt. The long sword (katana 刀) and a shorter companion sword (wakisashi 脇指), both stuck in a sash, as we can see on typical Samurai pictures, came into use during the Momoyama period. 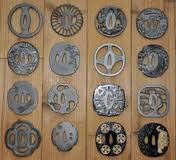 Fighting shools for one or two swords developed during the peaceful Edo period and the decorative parts of a sword, the guard (tsuba) and other hilt decorations (menuki) became more and more elaborate. 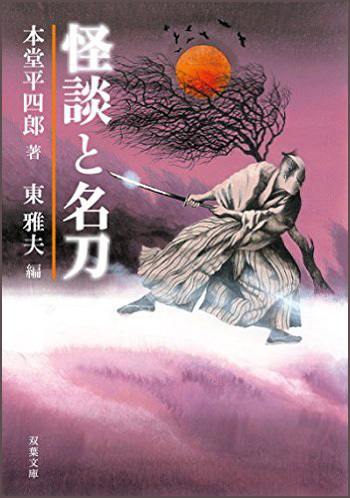 The most famous hero fighting with two swords is maybe Miyamoto Musashi, who will be subject of a yearlong TV series on NHK in 2003. 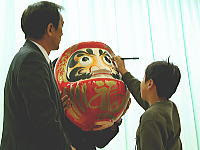 Musashi also painted Daruma san. You find all the knowledge about the Japanese Sword on this extensive HP in English. For example the History of Swords. 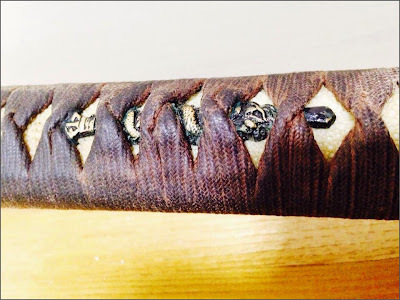 A Glossary of Japanese Sword Terms. A Museum full of famous Japanes swords. 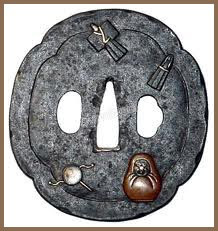 The sword guard is a heavy metal disc attached between the hilt and the blade. 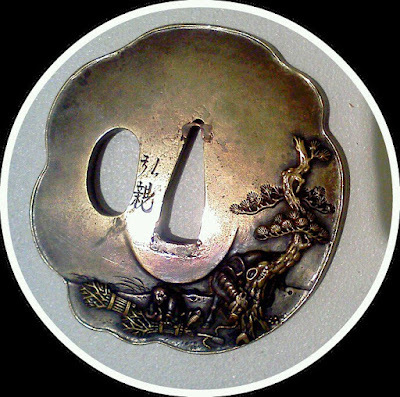 This part of a sword fitting has always been considered one of the most esteemed posessions of a samurai. During the Muromachi period and the Momoyama period feudal lords and powerful clans fought fierce battles against each other. Therefore the functionality of the sword guard was more important than its decoration. The Edo period brought an uninterrupted period of 256 years of peace to Japan. 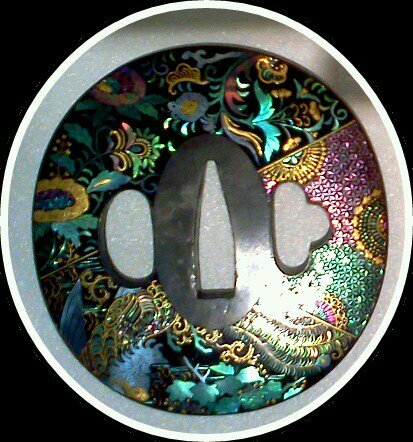 Now the Japanese sword guard rapidly developed into a refined piece of art. The primary purposes of the guard are to balance the sword, prevent the hand from sliding down the blade and, as a last resort, to use it as a block against a thrust or slash. Thus the guard protected the hand of the samurai, but more important it was a reflection of himself, an expression of this thoughts and imagination. Simple open work in early pieces as well as lavish and intricate techniques often allow us only an idea of what the original owner was attempting to express. Intellectual principles, mostly with a deep religious background, have been woven into a group of artifacts, which illustrate as clearly as any other the cultural and sociological development of Japan throughout history. 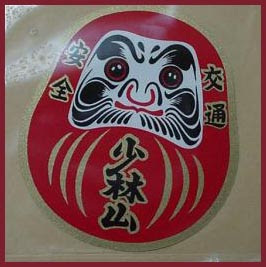 The strong connection of Zen Buddhism with the way of the samurai makes Daruma san a suited object on the sword decorations. The sword guard had patterns on both sides and some extra holes to permit the insertion of a utility knife (kozuka 小柄), a skewer (koogai 笄) to scratch the head under the helmet and chopsticks (waribashi 割り箸). 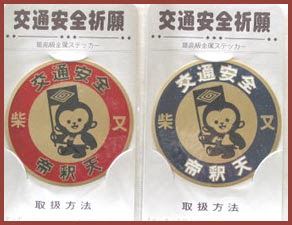 These items were called the "Three Things" (mitokoro mono 三所物). This book is composed of 143 colour plates with descriptions in English, German and Japanese. It also contains glossaries and indices in the same languages. 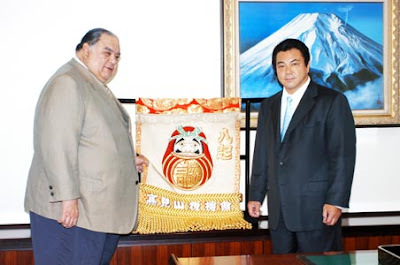 Mr. Heckmann has been a guest at my Paradise Hermitage (GokuRakuAn) in Okayama a few years ago. 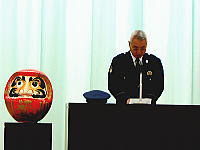 He restores laquer art items of Japan and other Asian countries. Menuki are pairs of small metal ornaments, secured one to each side of the hilt of the sword by means of a braid that covers the hilt. They are functional, miniature works of art that portray a wide range of subjects. Their original purpose was to hold the peg that locks the blade and hilt together. Later their position was moved and their purpose was to allow a better grip on the handle. 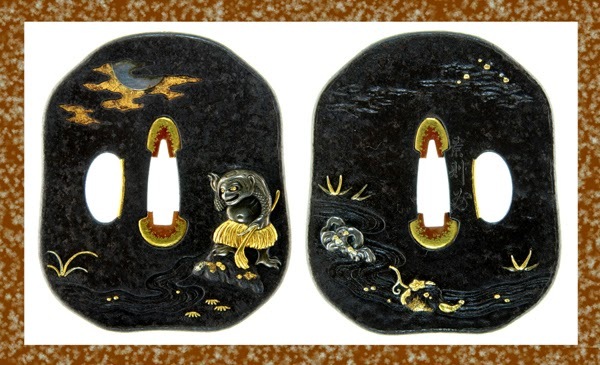 From the late Kamakura period onward, the menuki were placed on each side of the handle under the grasp of the fingers to prevent slipping. 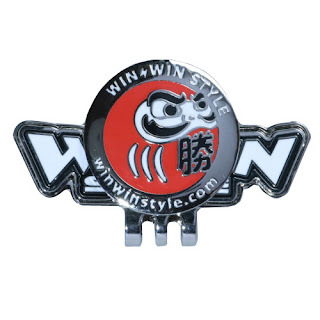 Nowadays we even find menuki reworked to be used as cuff links in an American crosscultural version. 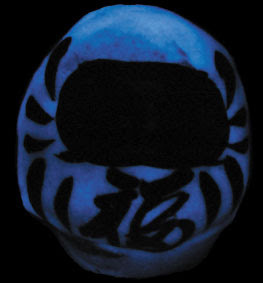 between the sword and Daruma after all, you might ask again. 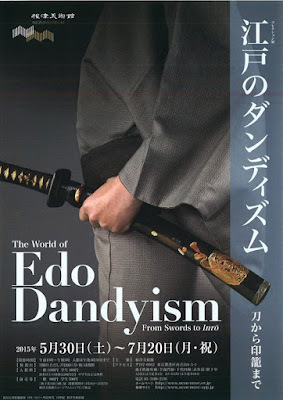 During the Edo period, many "WAYS" were developed, based on the principles of Zen and practised by the samurai, and "The Way of the Warrior" (Bushidoo) was of course one of them. One aspect of Bushidoo is "The Way of the Sword" (Kendoo) and the "Way of the Bow" (Kyuudoo). Part of the training of a young lord was to spend time in a Zen temple and meditate about Life and Death and the non-existence of Life and Death in order to prepare him not to fear anything that came along his way. During my many years of practising with the bow in a Zen temple in Kamakura we usually started a training session with a meditation period. And if you read the concepts of modern Kendoo Federation, you find some of them quite close to Zen concepts. For example "to forever pursue the cultivation of oneself" is quite close to the pursuit of Enlightenment. 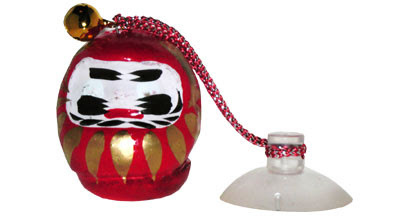 Therefore I guess the appearance of Daruma on items connected with the sword were ment to remind the samurai of the most noble WAY of all. 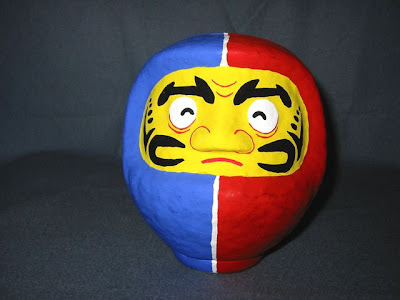 The famous samurai Miyamoto Musashi even painted Daruma, as we have seen above.
. Bishamon-Ten . 毘沙門天 .
. kappa　河童 / 合羽　/ かっぱ Kappa water goblin - Kappapedia . 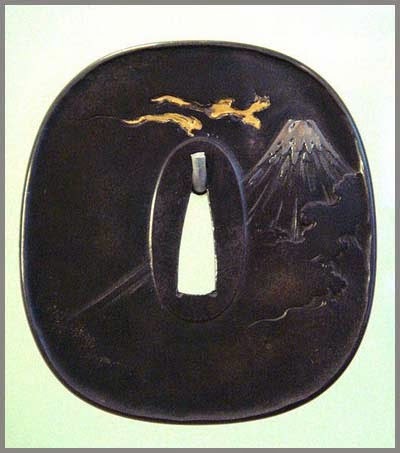 a rather large tsuba with Kappa motives, too big to attach to a sword. One side shows a kappa and a tree monster, the other side a willow tree with a woman ghost. 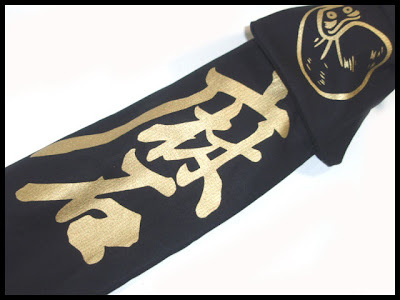 If the Kappa is on the front side, it is for a wakisashi sword 脇差, if the woman ghost is for the front, it is a long sword 長刀.
. Kappa,Tsuba and Menuki - MORE .
. Mount Fuji 富士山, Fuji-san, or Fujiyama, . 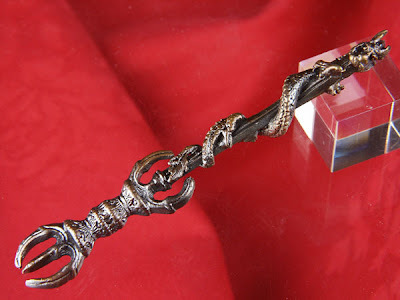 A sword together with a mirror (yata no kagami) and a comma-shaped jade jewel (yasakani no magatama) is one of the three Imperial regalia of Japan. The Imperial Sword of the Billowing Clouds. "The sword Susanooh discovered in the tail of the slain eight-headed dragon (orochi) and gave to the gods was eventually given to Ninigi (great grandfather of Emperor Jinmu, the first Japanese emperor), a grandson of Amaterasu the sun goddess, when he came down to earth. The sword is one of the three divine articles that are part of the Japanese Imperial regalia, but it was lost in the 12th century. 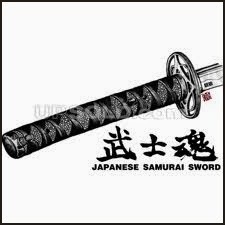 The sword's name is "Ama-no-Murakumo-no-Tsurugi" (sword of heavenly gathering of clouds), and it is also known as "Kusanagi-no-Tsurugi" (grass cutting two-edged sword) when it was used by Yamato Takeru to cut grass to make an escape route when he was surrounded by fire in one of the Ainu subjugation campaigns. So, both Murakumo and Kusanagi refer to the same thing, the sword of Orochi, the Dragon-King of the Sea. This sword could only be wielded by the Emperor of Japan." 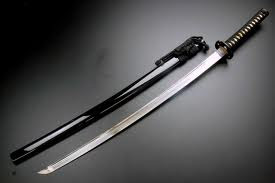 The close connection of the Imperial power with the heavenly sword maybe explaines why the Japanese have such a special veneration for swords, later to be called "The soul of the Samurai" and always handled with great respect. We will explore the religious aspect of the sword in Part 1 and the more materialistic one in Part 2. 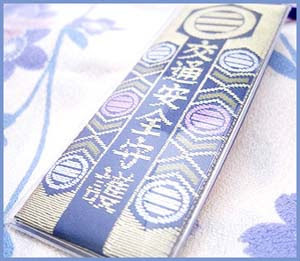 Read more about the legendary AMA-no-MURAKUMO-no-TSURUGI, the Sword of the Billowing Clouds on the following HP, which will be introduced in detail in Part 2.
. Futsumitama 布都御魂 Futsu no mitama . The personification of a divine sword. In Buddhism, we have a more philosophical form, the Sword of Wisdom. 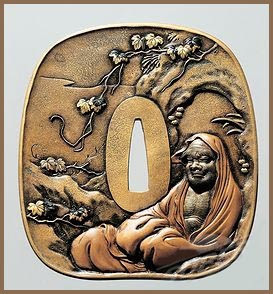 It is carried by Monju Bosatsu and the Wisdom King Fudoo (see below). In his left hand he holds a sutra by which he dispenses wisdom to people, and in his right hand holds a sword for cutting off delusion. He sometimes rides on a lion, which is called the king of a hundred animals, and this expresses how he lives grandly with a powerful and correct wisdom. 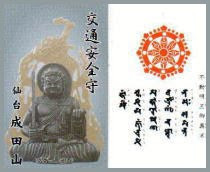 "If three people are together, the Wisdom of Monju emerges" is a common saying in Japan which showes the strong connection with Monju and Wisdom. Legend says that Monju was an Indian monk, born after the death of Shakyamuni. He reached the status of Bodhisattva through his serious ascetic studies. 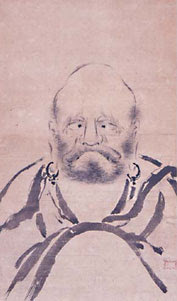 His religious dispute with the lay Buddhist Vimalakirti is reported in a famous sutra, Yuimakyoo. Manjushri is very popular in Tibet, Northern China and Mongolia. The name of the region "Manjuria" might be taken from a deformed prononciation of "Manjushri". If you repeat the Holy Mantra of Monju, On A Rahashanoo, you might gain the wisdom of Monju, if you practise seriously. 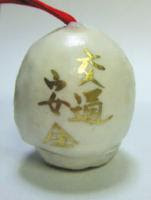 The unmovable Fudoo (Acala Vidyaaraaja) is one of the Wisdom Kings (Myoo-oo). He is usually depicted in a very wrathful way. 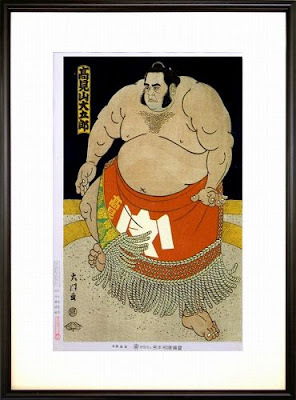 He is a typical Japanese deity, introduced by Kooboo Daishi about 806 and soon became a special protector of the Mountain Ascetics (yamabushi). An impressive waterfall is considered the personification of Fudoo, for example the Great Waterfall at Nachi, which we met in the story about Kumano. 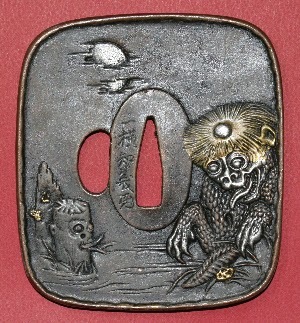 Kurikara Fudo is another personification of this deity, this time in the form of a Dragon-Sword. 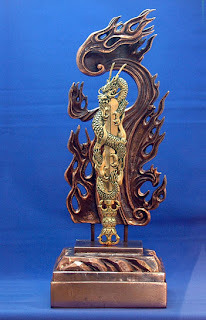 The Dargon King Kurikara (Sanskrit: Kulikaa Nagaraajaa) is said to have a golden body color and is sometimes depicted with one or two horns on his head. Legend has it that Fudoo had to fight the representative of a different religion. He changed himself into a flaming sword but the opponent did the same and the fighting went on without a winner. Now Fudoo changed himself into the Dragon Kurikara, wound himself around the opposing sword and started eating it from the top. This episode gave rise to the iconographic rendering as we know it now. 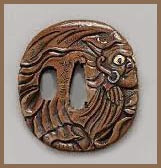 The dragon used to be a vasall or symbol of the deity, but in this unique case the symbol and the deity came to be honored as the same thing. Especially during the Edo period where the sword was a symbol of the vasall's loyalty to his lord, the statues and steles of Kurikara Fudoo were produced in greater numbers. 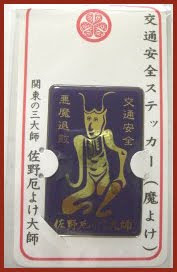 This Kurikara Fudoo is the protective deity of a waterfall of Terazawa. On the following HP you find another beatuiful stone stele with the Kurikara Fudoo and an explanation about other wayside deities (kooshin) in Japanese. 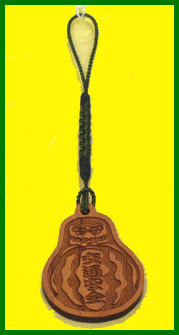 the Kurikara Fudoo is sought after by students who have to pass an examination and want to ensure some divine help in this endeavor. Now let us go back to the Japanese sword. 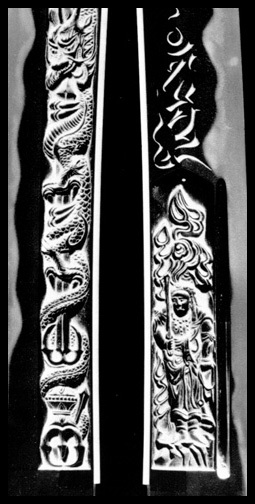 Here is a fine engraving of a Kurikara Fudoo on a companion sword (wakizashi). where we will talk in detail about the sword guard and other sword ornaments. - - - After all the process of forging, Saya-shi (Sheath craftsman) creates the Saya (sheath) appropriate to the Katana. Katana are not completed soley by a sword craftsman, other craftsmen including a Togi-shi (polisher) and Saya-shi (Sheath craftsman) add the finishing touches. The temple where Basho stayed when he wrote this poem was in possession of the famous sword of Minamoto no Yoshitsune and the satchel (bag) by Benkei.
. Minamoto no Yoshitsune　源の義経 .
. tango no sekku　端午の節句 Boy's Festival . 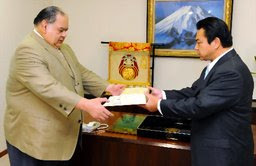 Shinji Ogawa notes that katanamochi means "a sword holder"... an attendant. He explains, "A samurai of decent rank could afford such an attendant because human labor was so cheap."
. 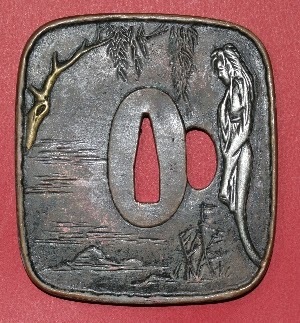 Senryu in Edo . 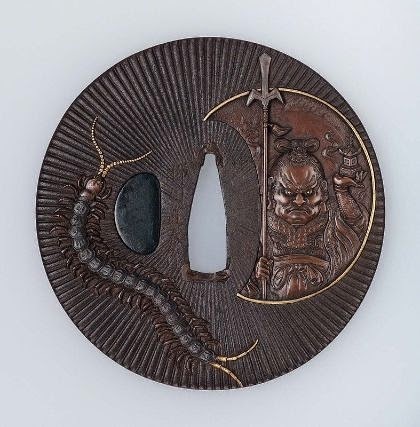 at the Nezu Museum is a splendid collection of Edo Period (1603-1868) swords and sword accessories that includes blades, scabbards and metal fittings, as well as decorative sets of inrō (pill boxes) and netsuke (carved toggles). 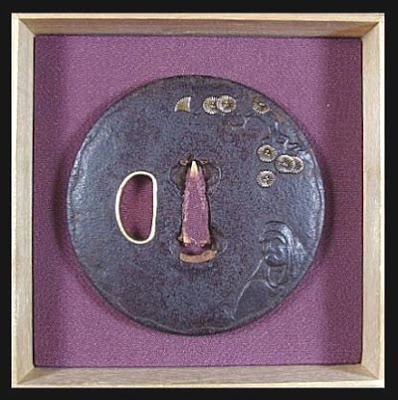 The exhibition looks back to a fascinating period of Edo history when prosperous samurai and merchants sought out the most stylish outfits and accessories that would establish them as refined men.
. inrō 印籠 / 印篭 / いんろう Inro, pillbox . Gift from my friend Ishino. This one comes with a little sucction to plop it on the car window. Sparkling for your safety ! Inside the car or fix it to the back of your bicycle. Sparkling in the night ! 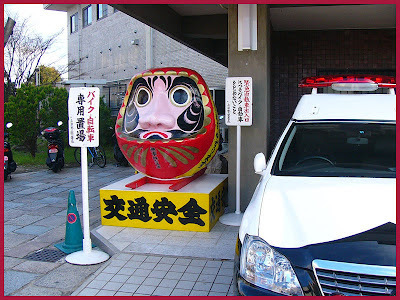 I found a big Daruma at the gate of a police station in Kyoto. The beard in the form of the two syllables JI and KO. They are in the form of small Japanese school backpacks (Ranzen) for children. 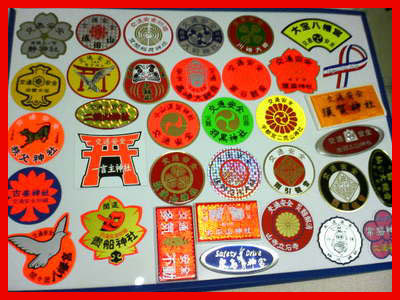 Many temples and shrines along the coast of Japan sell them. 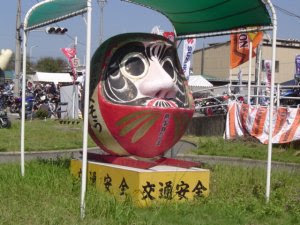 This shrine is long known for its amulets about traffic safety. The daimyo of the Kikkawa clan during the Kamakura period started to pray at this shrine. Traffic saferty changed from horseback to ships, to railway and later to aeroplanes. The deity 白崎大神様 Shirasaki Ookamisama protects all who posess his amulet.
. Atago Jinja (愛宕神社) . Created by Fusao Hasegawa, the “Jizō Cone” features a moulded image of Jizō Bosatsu, the guardian deity of children and travellers. Known in sanskrit as “Ksitigarbha Bodhisattva”, Jizō, which literally translates to “earth womb”, is usually depicted as a robed monk with his hands clasped in prayer. The word for frog is pronounced "kaeru." It is a pun with the word "return home." Therefore travelers carry a small frog amulet with the intent of returning safely to their family.
. Kaeru omamori カエルお守り　蛙　Frog Amulet .
. shrine Kibitsu Jinja 吉備津神社, Okayama .